Version 1.1.0 is released it’s much better than before. See the release notes on bottom of this page. Why not try it? 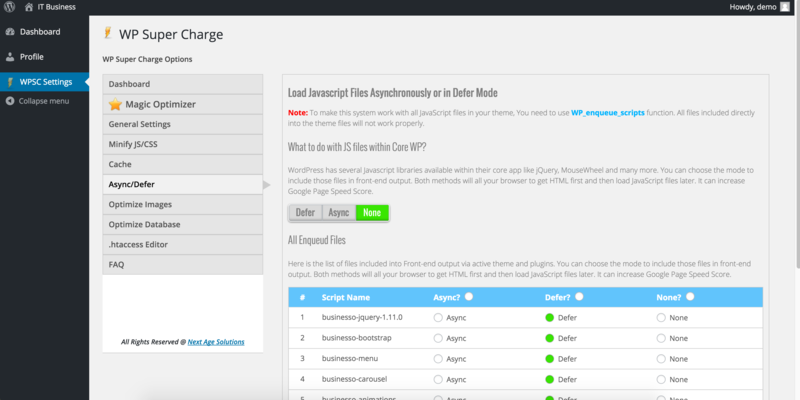 WP Super Charge plugin magically improves page load time for your WordPress site. Since WordPress site speed optimization is a major ranking factor now and all major search engines consider it while showing search results. 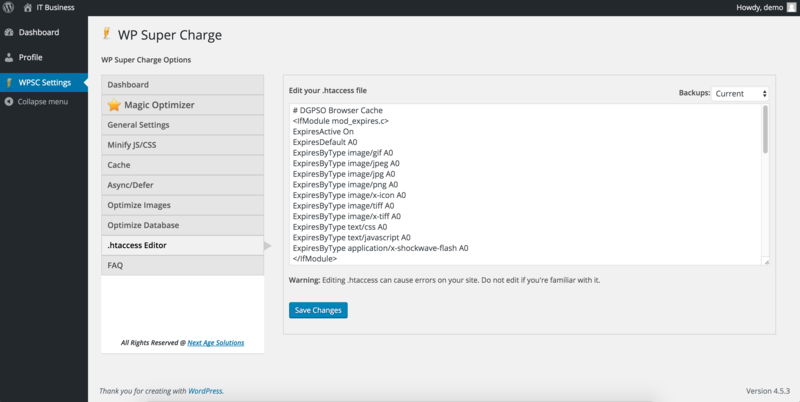 WordPress performance tuning is a bit tricky and needs some technical skills to fine tune and optimize and speed up wordpress site. 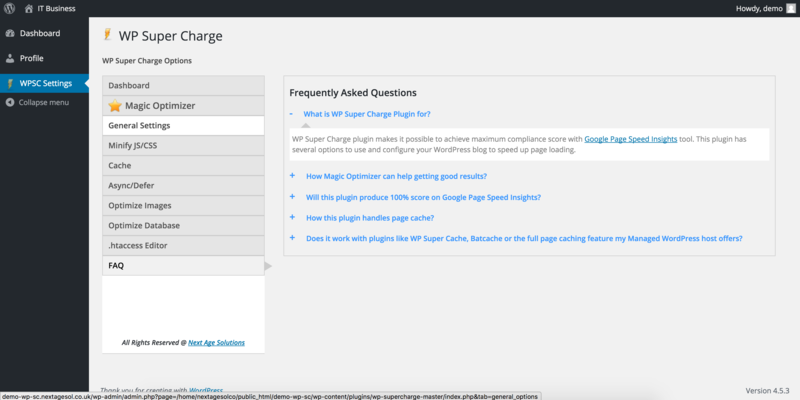 WP Super Charge allows WordPress users with no or very basic skills to manage and optimize your website page speed. This WordPress performance tuning help your score your site better on Google Page Speed Insights and YSlow and rank your website better in search engine results page. » Enabling Website Page Caching. » HTML, CSS & JS Minification. » Enabling Keep-Alive & Vary PHP headers. » Minimizing number of total requests. Why do You Need WP Super Charge? Google and other popular search engines now consider website pagespeed as a ranking factor. PageSpeed is not #2 after basic on-page optimization. It’s sure that a slow website will disappoint users and they may even leave before the site is completely loaded to their browser. WP Super Charge help you optimize pagespeed for your WordPress blog or website. The magic optimizer button available in this WordPress site speed optimization plugin, enables you to magically improve your website page load speed significantly and pass the Google Page Speed Insights score. So never leave a single stone unturned to get more traffic on your website/blog hence more sales. - checking if server config is compatible to optimize images. - Rebuilt CSS & JS minify engine. - "To many connection errors" issue is fixed. - "Magic Optimizer button runs the process forever" issue is fixed.